Mummy Hearts Money: Elmo's World Tour - An awesome birthday present and a GIVEAWAY! Elmo's World Tour - An awesome birthday present and a GIVEAWAY! I don't usually buy my kids toys for their birthdays. For Christmas yes, birthdays no. Lots of other people will give them toys, so I try to find something different for them. Sometimes it's a special piece of jewelry, sometimes it's something for their rooms, and sometimes I might buy tickets to some event or experiance that I know they will love. Lorelei is turning 2 in May, and right as I started thinking about what I might want to do for her birthday I saw the promo information for Elmo's World Tour. Well knock my socks off. She loves Elmo, and the show will be on not too long after her birthday. It's the perfect present. I whipped together a group of sister in law's, nieces and nephews and bought the tickets. I am so excited to be taking Lolly to see her first show. I know how much Maddy loved her first show when she was a toddler, and I can just imagine that Lolly will be jumping on the edge of her seat when she sees Elmo LIVE along with Abby Cadabby and all her other Sesame Street favourites! These things are usually full of fun flashing lights, hyperactive kids, and completely high energy. She's going to flip when she sees all her favourite characters singing and dancing LIVE! more fun to be mutton than lamb. 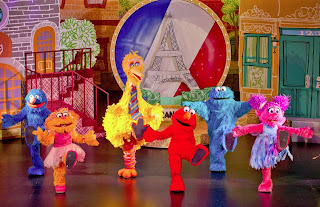 WORLD TOUR has delighted Sesame Street fans of all ages." Mmm! 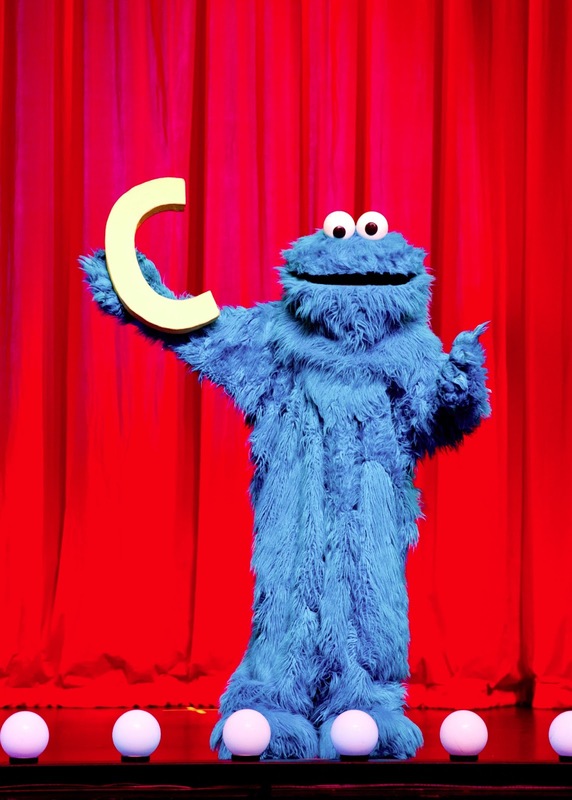 C is for Cookie! Elmo’s World Tour is showing for a strictly limited season from 21st June to 20th July. You can find more information about dates and venues at www.SesameStreetPresents.com.au. Tickets went on sale 21st February. And I can tell you, some sessions already have limited seating thanks to ticket pre-sales. This should be a great show. But it's not just me that gets to enjoy this show! I'm so excited to be going, I made contact with the lovely peeps representing Elmo's World Tour and they are letting me give away not one, but FOUR family passes (family of 4) to see Elmo's World Tour. Can you believe it! Four of you are going to have some very happy little Elmo lovers in a few months time. Prizes are strictly non-transferable. Winners will need to pick up their prize at the box office on the day of the show and will need to show photo ID along with the prize details that I provide. To enter the competition, use the rafflecopter widget below. And because this is quite possibly the most awesome giveaway on the planet (if you happen to be the parent of a toddler) I have added bonus entries for sharing in the widget, because I know you are going to want to tell the world about this one. Cool comp! My 4yo is only just now getting into live shows. They used to scare him!